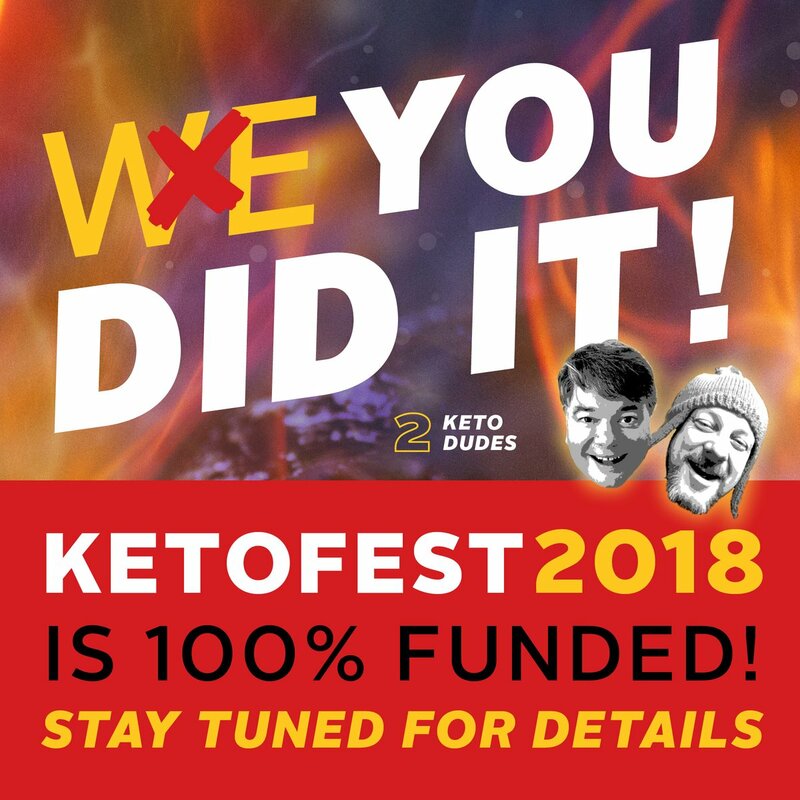 We have some excellent news, the Ketofest Kickstarter has been fully funded! 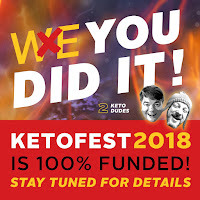 That means Ketofest will happen this summer. I'm looking forward to taking part in the festivities this year. One of the great things about Ketofest is that a few hundred people converge on a town with similar dietary requirements. That means you won't feel like the odd one out with weird requests. Everyone goes to Hot Rod's Cafe and orders a pint of bacon, or gets extra butter for their steak. However not all vacations are quite so easy. In April I'll be going on a 9-day cruise. 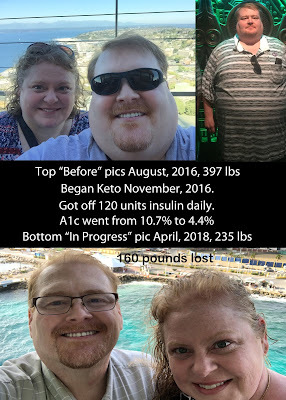 I've been on 5 cruises in the past, but I haven't been on one since I started keto. And while I'm familiar with the food that is available, I haven't thought about it with a keto point of view. Breakfasts (if I eat any) should be easy, eggs and omelets, and bacon are great keto fare. There should be burgers without buns and salads available for lunch. And dinners should have at least one or two good options. 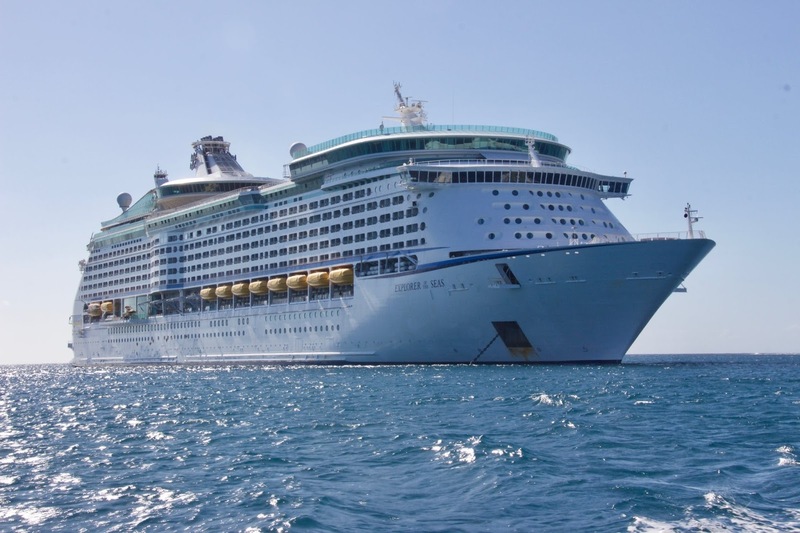 There will need to be a few differences from past cruises however. I always got desert with dinner in the past, but not this time. Late night options are primarily sandwiches and pizza, so I might be out of luck there. However, being keto, I also won't feel the need to snack all day long. Another change will be alcohol. My wife loved the blender drinks. Unfortunately those drinks are all loaded with sugar. So we'll have to stay away from that. Most likely when we do imbibe, it will have to be hard alcohol mixed with diet soda. 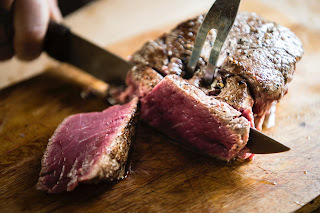 I'm shooting for a couple of 5-day fasts before I leave for the cruise, to make sure I'm leaving on the right foot. I also plan on bringing my exercise bands to make sure I'm still working out while I'm on the cruise. Although I could also use the gym on the ship too. It's always more challenging to eat in public if you have any dietary requirements, but I'm looking forward to the challenge. And I'll try to keep reminding myself that my good health feels better than any carbage may taste! My next blog post will discuss how "steady" progress isn't always so steady. You can also read my last blog post which discussed the April meetup of the Minnesota Ketonians group.